It was life lessons like these that lead Dave to write hundreds of radio and television commentaries and several comedy/variety television shows, write and produce an hour-long documentary on the business of standup comedy, and even create sketches for Bozo the Clown. Oh yes! 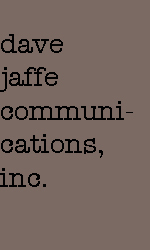 Dave Jaffe Communications can make the words that go with your pictures. 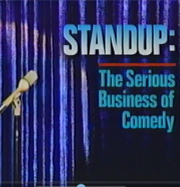 "Standup: The Serious Business of Comedy"